Welcome to Brazil! Morning arrival in Rio,* the vivacious "sun and fun" capital of South America; meet and transfer to your hotel. The rest of the day is yours to rest, relax and acclimate to your new surroundings. Tonight, attend a Welcome Dinner with your fellow travelers at a typical Brazilian Churrascaria and then get a good night's rest before the exciting adventure that awaits you in South America! *If booking your own air, please plan to arrive at the airport no later than 3:30pm in order to transfer to your hotel in time to attend the 5:30pm Orientation Meeting at the hotel. 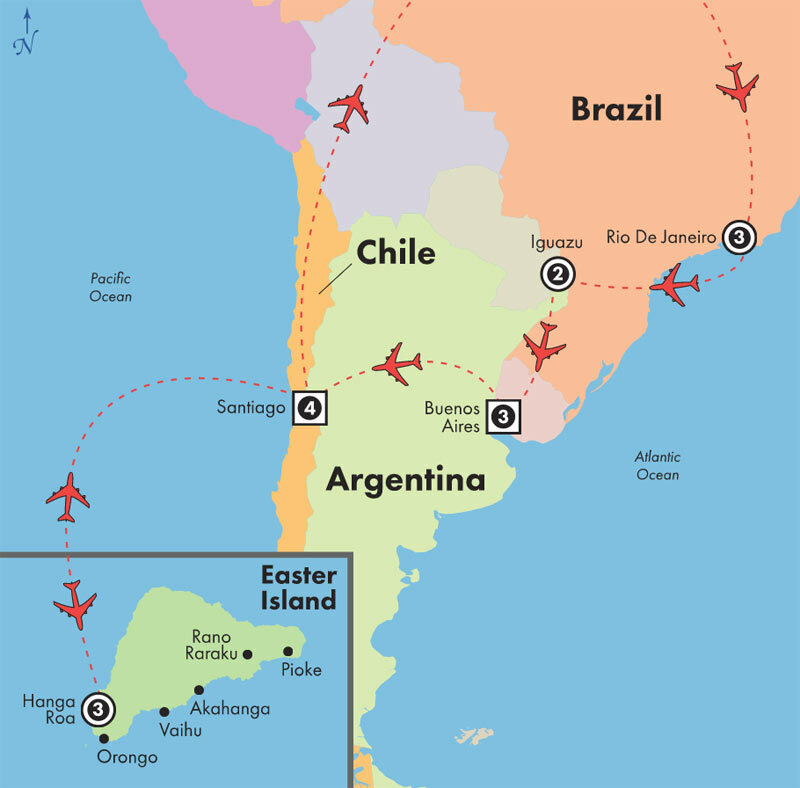 Admire the elegant architecture in Buenos Aires, the "Paris of South America"
Land only price does not include arrival/departure transfers, but does include flights Rio de Janeiro-Iguassu, Iguazu-Buenos Aires, Buenos Aires-Santiago, Santiago-Easter Island & Easter Island-Santiago. This first class hotel has lovely views of Leme Beach.